With optimism and anticipation, we proudly will participate in the 2016 Software Freedom Day celebration to be held on 17 September at the National Teachers College in the morning and the Technological Institute of the Philippines in the afternoon. 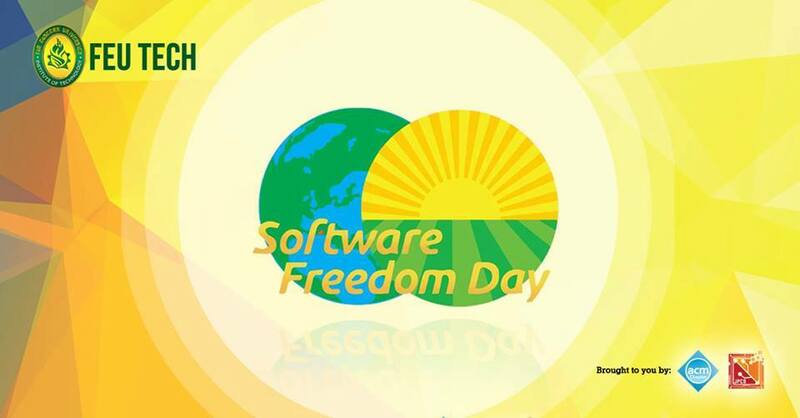 The core topics of the celebration is the Free and Open Source Software, Better Internet, Data Privacy and other recent concerns like the Freedom of Information, Internet of Things, and Data Science. We at EDGEKIT will discuss our Weapon of Choice composed primarily of OpenBSD and PostgreSQL, what can be done better with them and why, along with software architecture and development practices especially focused to students and may also benefit professionals. 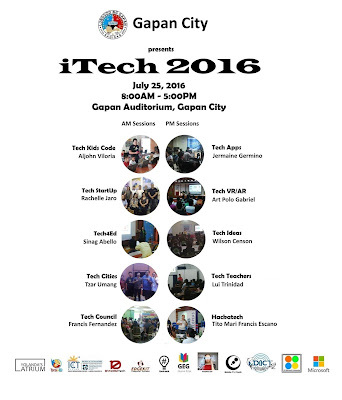 We are very grateful for the opportunity to Computer Professional's Union, 8Layer Technologies, DevCon, Drupal Pilipinas, Agham Youth, Tudla Productions, Environmental Youth Organization and the host schools National Teachers College and Technological University of the Philippines. This event was re-scheduled to October 8 in a new venue, the Assembly Hall of the National College of Public Administration and Governance (NCPAG) in UP Diliman. Hope you will continue to support and participate in this event. 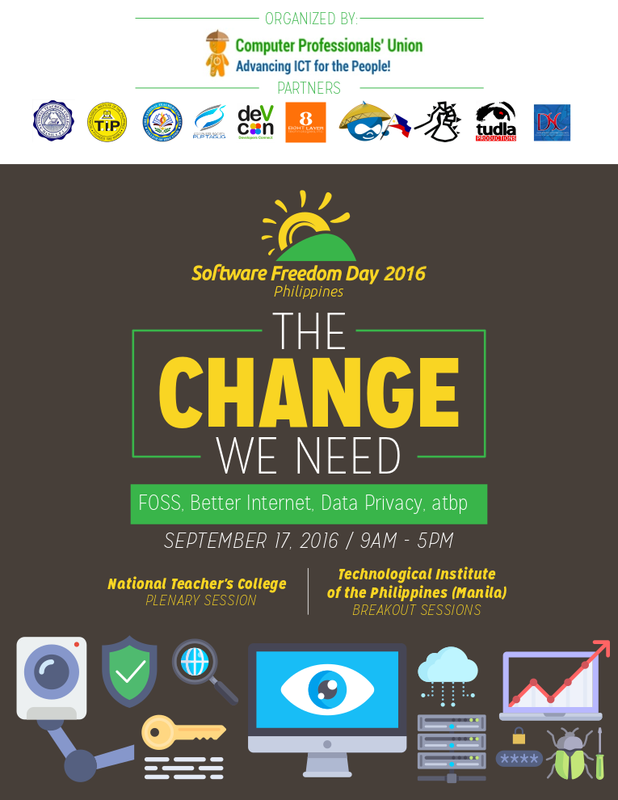 We also participated in the Far Eastern University Institute of Technology (FEU Tech) celebration of Software Freedom Day last September 30. 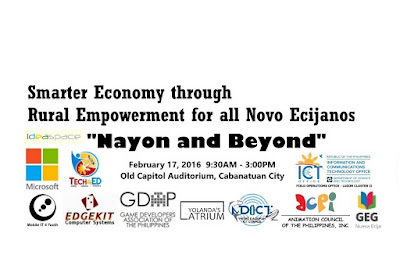 This event was organized by the Junior Philippine Computer Society (JPCS) FEU Chapter and MobilityIT4Youth. 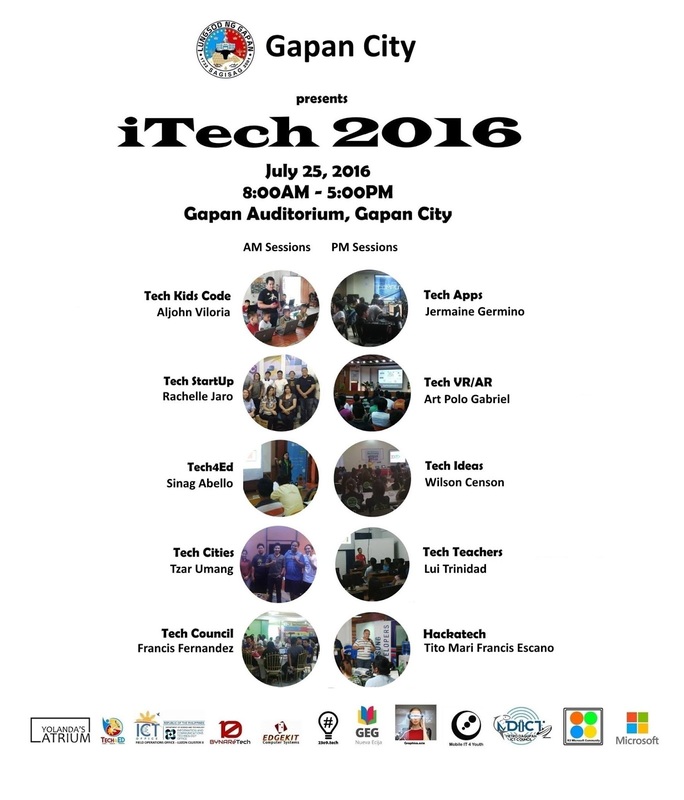 We will participate in iTech 2016 to be held in Gapan Auditorium, Gapan City Nueva Ecija on 25 July 2015, presented in cooperation with Yolanda Atrium, Tech4Ed, ICT Office, BynareTech, GEG Nueva Ecija, MobileIT4Youth, Metro Dagupan ICT, and Microsoft Philippines. We look forward to meet old and new friends, be there! We at EDGEKIT Computer Systems have always sponsored and supported events that manifest our commitment to ideas we stand for and believe in. 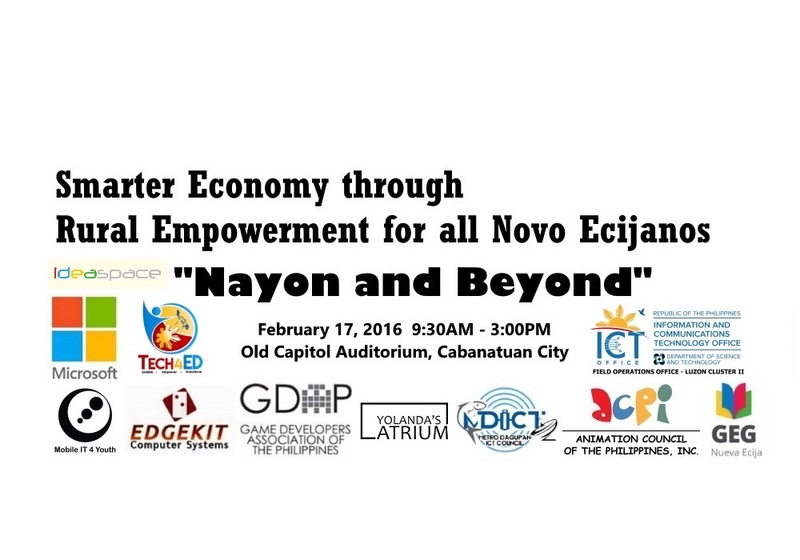 In 2014, we sponsored the Agri Hackathon in Nueva Ecija, because we firmly believe that no humane society can progress and contribute to move forward the civilization of mankind on an empty stomach. 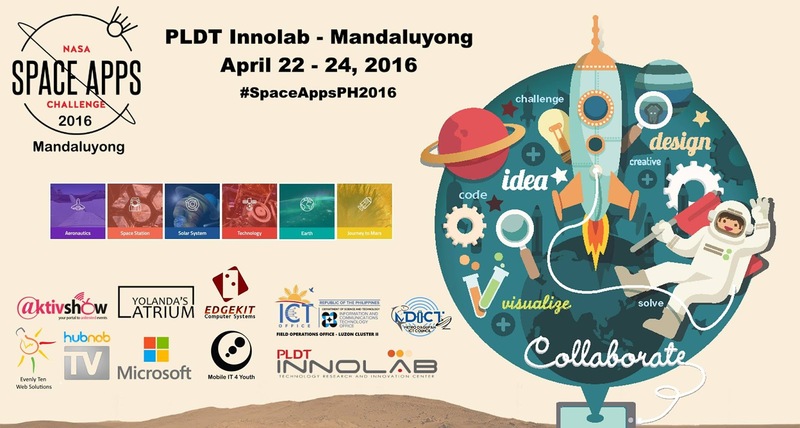 Now, we are gratefully supporting the NASA Space Apps Challenge 2016 to be held in PLDT Innolab at Mandaluyong City from 22 to 24 April 2016. Join us in exploring and showcasing the Filipino potential and first steps in science, technology, engineering and arts to conquer the new frontier. 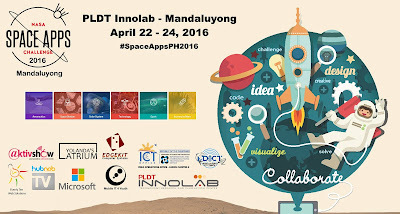 Be there and together let's move the Philippine space program to infinity and beyond.